No idea if this includes eShop-only stuff, but I guess it is unlikely that any eShop-only title has topped 1.35 million. I imagine Super Mario Odyssey will be up near the top soon enough. The Switch has sold more than half the Wii U LTD in less than eight months. That's amazing...and sad for the Wii U. Poor Wii U deserved so much better. @ludist210 And it hasn't even had a holiday season yet! I think it could honestly come close in its first year, depending on how much supply is out there. Sometimes it feels like the Switch is what the Wii U was supposed to be. Like it took the basic idea but made it a true handheld, got the killer games out right away... just nailing it. But without the push for asymmetrical gameplay. @r_hjort True. Would need multiple Switches to pull that off. I DO miss some stuff about the Wii U. In fact, I told my nieces and nephews they could have it, but I've been dragging my feet on giving it to them because it's my convenient touch-enabled remote for Netflix now! What am I going to do, go back to selecting tv shows and movies with a digital pad and buttons like a caveman?! I wonder how much it would cost to make a touch-enabled, streaming controller for the Switch. Probably a lot. That's how I felt the first time I played the Switch. Like, the Switch was supposed to be the Wii U, but Nintendo opted for something more traditional in the console space and it fell flat in the eyes of most consumers. The Wii U was an interesting idea, asymmetrical gameplay generally didn't work as well when the screens weren't right next to each other (like on the DS or 3DS), and not allowing the Game Pad to function too far away from the console (I do understand why that was a thing) was a bummer. Still, Wii U was a great little system that had some amazing titles, a fun social network, and it laid down some of the basic groundwork for the Switch. It deserved better, and I hope folks give its games the chance when some of them (hopefully) migrate to the Switch. I've seen some people saying stuff like "I kind of hate the Wii U now that the Switch is out" and I'm like wow, sure the Wii U has many faults (sluggish OS, poor quality GamePad screen are on top of my list), but I've also been playing Hyrule Warriors co-op with my girlfriend recently, each on our own screen. I'm gonna miss that. Yeah, I've always loved my clunky and misunderstood Wii U, and I can't see that changing. Even though it's technically dead (and pretty much was before the Switch was even out) I still play lots of terrific games on it, and I would likely have used it for Miiverse posting if the Switch hadn't killed that. I can still enjoy playing NintendoLand with my nephew, and ZombiU on the Wii still feels scary and unique as far as I'm concerned. That a brand new IP (a wacky one, too) sold over a million units in just a few months is astounding and outstanding. 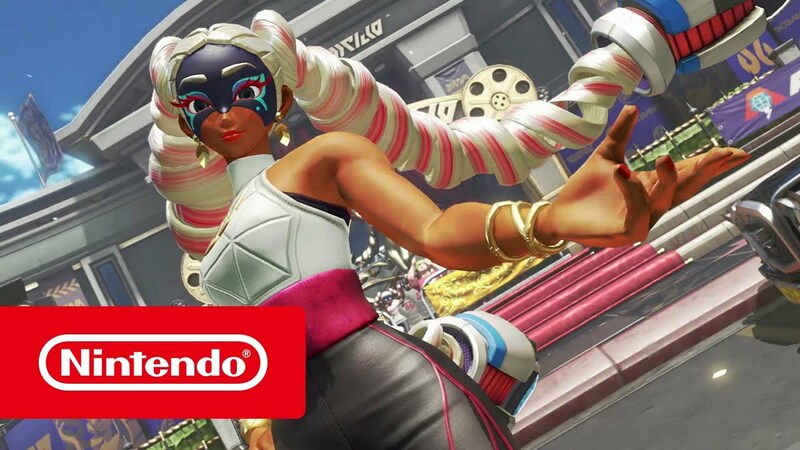 Good job, ARMS. You might not be my cup of tea, but I herald your originality and "not just releasing marginal-upgrade sequels to established IPs." Woo. Man, I was hoping 3DS would have been pushed over the 70M mark by now. Still, 68.98M is nothing to sneeze at. I don't see making it over that next 1.2M to be too difficult either by the end of the holiday season or by the end of March 2018. I'm holding out hope that the 3DS eventually matches (or at least comes close) to the total sales of the GBA (around 80M IIRC) but...not sure how realistic that would be at this point. 10M more units sold for a system that will soon be 7 years old? In this era? Hope springs eternal, but when Nintendo has the new portable hotness with the Switch out, how likely is that 80M number anymore? I've honestly felt like this since getting the system in my hand. The Switch is the fulfillment of what they wanted to do with the Wii U, minus the asynchronous play. That said I still love the Wii U for what it was. With the right tweaks and a better branding, it could have been a monster. Yeah. The Switch is going to keep consuming the Wii U's flesh to become stronger, but, man, was that first-party lineup stellar. In a way, the Switch validates the Wii U's lineup, but it will soon invalidate its existence. I think people are a bit too confident that Nintendo can continue its current level of first-party output on the Switch. They're going to run out of underappreciated classics to port from the Wii U eventually. But not before Smash and Super Mario 3D World! Also, I still think that Nintendoland is a phenomenal package. I'd love to see it come back in Dual Switch format! And I hope that the Wii Sports franchise gets another chance. That Paper Mario didn't get a Switch port still seems so weird to me. It deserved it, what a fun game. Well, it's not going to sell systems. Might as well trot that and Tokyo Mirage Sessions out in a couple of years. @Anand Those are the two games I wanted to play that came late and I missed getting in before the Switch so that'd be nice. A pretty crazy turnaround from the Wii U for sure. I hate the GamePad so the Switch is way better than the Wii U on that front. But I really miss Miiverse and the Wara Wara Plaza, those were easily the best part of Wii U. The Switch is just so plain and boring.